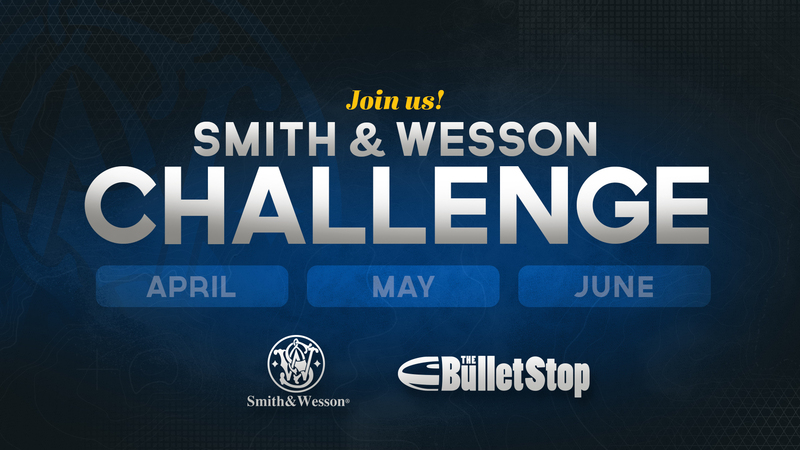 The Smith & Wesson Challenge is open to all shooters owning a Smith & Wesson Handgun of greater than 22 caliber. Each division will have its own 1st, 2nd, & 3rd place finisher. Each will be awarded a plaque for their finish. We will also recognize the top Junior and Female competitors from each division. Entries are just $15 for each division. Entrants will be able to shoot one time in their chosen division per event. There will be a total of three events, April 21, 2018, May 19, 2018, & June 23, 2018. Entrants will need to shoot in at least two events in order to be eligible to be recognized as a division winner as well as to be eligible to win the firearm. Entrants will have the opportunity to participate in three events. Each entrant must participate in at least two events, as overall score will be based on the average of the two highest scores. For example, if an entrant shoots in all three events with scores of 490, 492, and 488, the entrant can drop the 488 and have their overall score be the average of 490 and 492, equaling a 491. If an entrant only shoots in two events, then they will have those two scores averaged and that will be their overall score. Target is a D-1/Bianchi Cup target. Maximum 500 points. Everything outside of the rings will be 5 points. All shots on the line will receive the higher point value. Course of fire for each division will be announced at the event. Each person entering will need to attend at least two (2) shoots to be eligible for the chance to win the firearm. Each competitor will be allowed to take five shots at a playing cards target. The entrant with the best hand will be awarded the firearm. In the event of a tie, the entrants will get five more rounds, and the target will be turned around so they cannot see what they are shooting at. The targets will be scored and the entrant with the high hand will be awarded the firearm. Door prizes will be awarded randomly at each event. Entrants will be given a ticket for each paid entry. About midway through the shoot we will break and draw for the door prizes. Entrants must be present to win.